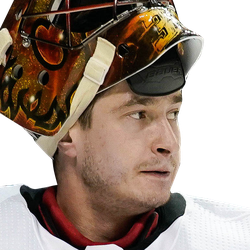 Austin Czarnik scored with 40.7 seconds remaining in regulation to net the game-winning goal as the visiting Calgary Flames won their fifth consecutive game with a 2-1 victory over the Ottawa Senators Sunday night. Seconds after Anthony Duclair, making his Ottawa debut, rang a shot off the post at the other end, Czarnik raced deep into the offensive zone, took the pass from Michael Frolik and lifted a backhander just under the crossbar for his fourth goal in five games. Goalie David Rittich made 22 saves for the Flames, who are in the top spot in the Western Conference. While all the talk was about the Tkachuk brothers -- Calgary's Matthew and Ottawa's Brady -- meeting each other for the first time as pros, with nearly 40 friends and family on-hand, Calgary's Mikael Backlund opened the scoring 4:07 into the game. Sam Bennett forced the turnover on the forecheck and then passed it to Backlund in the slot, and he buried the shot. Backlund's tally gives him a five-game point streak, with three goals and four assists in that span. Despite the Flames dominating the second period, Brady Tkachuk tied the game at 15:38 of the frame. Tkachuk ended up on a two-on-none rush and tucked home a five-hole backhander for the 14th goal of his rookie season. The goal snapped Ottawa's scoring drought at 160:54. Both teams had a goal disallowed on eerily similar plays, when the goalie had his hand on the puck but it was whacked into the goal. Calgary's Matthew Tkachuk thought he'd made it a 2-0 game in the first period only to see it overturned. Later, Bobby Ryan had a goal that would have given the hosts a third-period lead called off. The Flames, who have outscored their opponents 91-49 in third periods this season, have collected 85 points, one more than they garnered all of last season, and have 20 games remaining. Craig Anderson stopped 33 shots for the Senators, who have lost four straight and are last in the league with 49 points. Ottawa sat a trio of vets in Mikkel Boedker, Cody Ceci and Mark Stone to protect them from injury in anticipation of Monday's trade deadline.